It goes without saying that the Internet has a staggering amount to offer when you want to quickly and easily find content on pretty much anything. There are literally trillions of webpages online. So with all those options, how do you know who to trust when it comes to finding authoritative content from experts you know you can trust? Especially when you’re looking for information on cybersecurity and safeguarding your business from the latest threats. Well, you’re in luck. Our industry-leading security experts have combined with the expansive reach of The Wall Street Journal to give you a reliable source of information on the latest in cybersecurity trends and solutions. Designed for anyone from the C-suite to an intern, Neustar has teamed with the WSJ. Custom Studios to launch a content hub titled “The New World of Security and Privacy”. The online portal showcases a series of topical cybersecurity and privacy articles, along with insightful on-demand webinars, to give you everything you need to stay informed on the latest cyber threats to businesses. 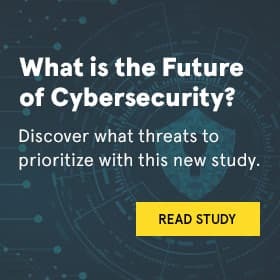 In fact, our latest cybersecurity report, “The Changing Face of Cyber Attacks” that we published in July can be found there. It also includes an important webinar featuring Becky Burr, Deputy General Counsel and Chief Privacy Officer at Neustar. She dives into the new General Data Protection Regulation (GDPR) that went into effect in May, how to stay in compliance with the EU’s privacy directive, and why even U.S. companies need to adhere to the law and adopt a “Privacy by Design” culture. Also featured is an on-demand video interview with Internet pioneer Rodney Joffe, Neustar SVP and Fellow. He provides a fascinating, insider look at the modern threat landscape and the tactics of cyber criminals. He also identifies the most prevalent types of attacks that companies need to be looking out for, including DDoS attacks, DNS attacks, ransomware and malware, and what you should do to protect your online infrastructure. His most important advice? If you have an online presence, you’re going to get attacked. It’s not a matter of ‘if’, it’s a matter of ‘when’. So being prepared with a detailed plan when an attack occurs will put you in a much better position in how to react and the steps you need to take to deal with it quickly and effectively. In the third webinar, WSJ. Customer Studios chats with Cameron Colquhoun, the Founder and Managing Director of Neon Century Intelligence and a former Senior Analyst for British Cyber Intelligence. During the on-demand video, he discusses that companies need to know about open-source data and developing a safe and effective approach to public information. He also recommends the right skills companies need in order to detect and avoid risks, as well as how you can build an information-resilient culture. Making sure your company has a holistic cybersecurity strategy is more important than ever. Hackers are always changing their tactics and methods to adapt to the latest defenses, so implementing multiple layers and partnering with a trusted, expert third-party security provider can go a long way toward staying out of the news instead of making the news for all the wrong reasons. What Erodes Trust in Digital Brands?